Just like no two relationships are like, a divorce is also an entirely unique process, and it often brings out the worst in both parties. If you are facing a divorce, and you are concerned that you and your spouse do not see eye to eye on important matters such as child custody or division of assets, a divorce coach may be able to add support and perspective to your situation, allowing you to resolve the outstanding issues in your divorce in a more positive and productive way. Johnson Mediation offers individualized divorce coaching and other divorce mediation services for those in the Chanhassen, Shakopee, Richfield, and Bloomington MN area. Our team focuses on you, your family and your future and assisting you throughout the entire process. A divorce coach is tasked with helping understand your unique situation and using that knowledge to help you make difficult decisions related to the divorce process. A divorce coach helps with decision making, goal setting, and navigating big life transitions. Your divorce coach is your advocate and understands the complexities of the divorce process and will support you through this transition so that you can move forward in a healthy way. A divorce coach does not necessarily replace a divorce attorney, but it is less expensive and in some cases can be helpful as you decide whether you need the help of an attorney, or if you will proceed on your own, or via divorce mediation. Johnson Mediation has divorce coaches that will help you understand your various options during the entire divorce process, and can help you make the difficult decisions that you will face. Our team understands that emotions are high when it comes to divorce – and we can provide you the support you need to manage those emotions as you navigate this process. Finally, our divorce coaches can help you draft parenting plans and custody agreements and help you make plans for your life post-divorce. Divorce is difficult, it is complicated and is widely thought to be one of the most stressful time in an individual’s entire life. Support from multiple sources is very important to getting through the process and a divorce coach can be instrumental for many people who are facing a divorce. Johnson Mediation offers divorce coaching services as well as other comprehensive divorce mediation services to those in the Minnesota area. 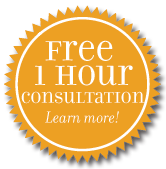 If you would like more information or think that you might want to partner with a divorce coach, call us at (952) 401-7599 to set up a time for a free one hour consultation.